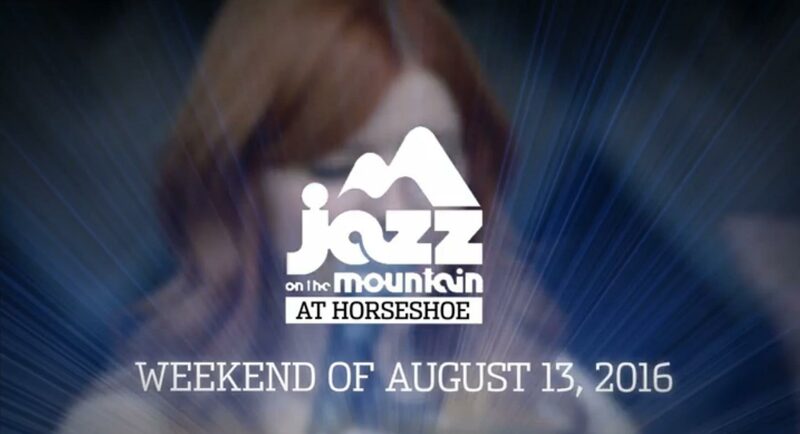 What are the main venues for JAZZ ON THE MOUNTAIN AT HORSESHOE? Wineonline Jazz Alive Music Jam at The Crazy Horse Sports Bar & Grill. Do I need to buy a pass or ticket? Yes, the entire day of music is included on one ticket. $24.95 + hst/fees for a Daypass. $44.90 + hst/fees for a VIP Pass (limited quantity), which includes reserved seating area, optimum sight-lines, waiter service and a Festival CD. Does my Mainstage ticket or pass entitle me to admission at the Master Classes? Yes, separate pass or ticket is not required. Are there in and out privileges in the Mainstage area? What kind of weather/temperatures should I prepare for at the outdoor concerts? Typically, August in Barrie, Ontario will have weather from 20 degrees to 26 degree highs, half that for lows; and rain is a one in ten possibility. Please check the weather report prior to coming to the venue and dress appropriately. Performances will take place rain or shine. What Can I bring to the Main Stage venue? Although some limited seating is available on a general admission basis, it is suggested that festival goers bring their own chairs (no loungers) or blankets. The entire Mainstage area is fenced in and is licensed. Please do not bring: umbrellas, outside food & beverages, lounge chairs, beach tents, BBQ’s, glass containers, knives, professional audio or video recording equipment, bottles or cans. Children 12 years of age and under are admitted into the Festival Zone and at all concerts, sessions and Master Classes free of charge. For every adult with a Festival Daypass with a child who wants to use the Activities within the Festival zone, on request the Resort will issue a complimentary children’s Activities wristband for activities within the Festival zone. Reciprocally, for every child with a Resort-wide Activities wristband who wants to use any of the Activities in the Festival zone, JOMAH will issue a Festival Daypass to an adult accompanying that child while within the Zone. What can I do with my kids at the festival? Kids are welcome at the Festival. There are a variety of activities created just for them that Horseshoe Resort offers for an additional cost. Festival charity sponsor CNIB will present blind painting, blind tasting and other fun activities for both adults and children alike. What are the food & beverage options? Horseshoe Resort is providing an upgraded Festival Menu, available at the concession and at the Crazy Horse Sports Bar & Grill onsite. Festival sponsor Wineonline is offering a free wine sampling program. Festivalgoers of age, who wish to participate, will be given a special liquor-sampling wristband, and may taste up to three samples. By-the-glass and full bottle servings of Wineonline’s wine will be available at the concession and at the Crazy Horse Sports Bar & Grill. Food and all beverages can be consumed at your seats. For family and safety reasons, pets are not permitted in the Mainstage area. Can I bring a backpack or bag into Jazz On The Mountain At Horseshoe? Yes, bags are permitted, however there will be a mandatory security check at each entrance location, each time you enter the venue. Prohibited items include alcohol or outside food or drink (not including kids’ snacks), or any items that could present a security risk. Sealed water bottles will be the exception. Can I bring food or my own water into the venue? Other than for special needs or infants, outside food and beverages are not permitted. Sealed water bottles will be the exception. Yes, strollers will be allowed. Please ensure that no strollers are left in the wheelchair only seating areas. We are located at 1101 Horseshoe Valley Road, Barrie, Ontario, Canada L4M 4Y8. We are located on the Right hand side. Should you have any questions or need additional assistance, please do not hesitate to contact us via telephone at 1-800-461-5627.